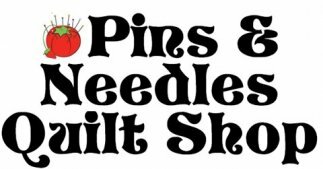 Pins & Needles Quilt Shop offers antique quilt repair and restoration services to preserve your family's memories. The basis of our work is to preserve the integrity of the original textile; each quilt is a totally unique piece of art and reflects the creativity of its maker. 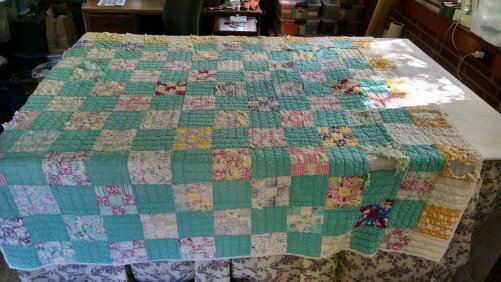 It is essential to restore a quilt to the overall look and feel of its original condition. Unlike furniture restoration, where any removal of original patina is irreversible, we can preserve a quilt’s original fabric about 95% of the time by simply layering over it with the restoration fabric. The only exceptions to this rule are for thick wools or heavily embellished fabrics, in which case layering would create too much bulk and interfere with the original look and feel of the quilt. 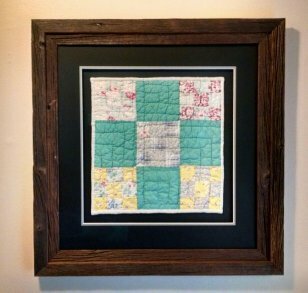 Each quilt is full of memories, and hold the emotions of every person in its history. 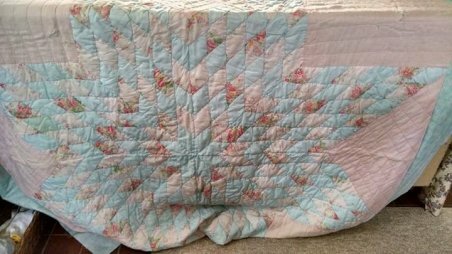 When clients bring in a damaged quilt, they are hoping to regain that positive energy, and it gives us great pleasure to clean and restore these quilts to be enjoyed to their fullest once again. 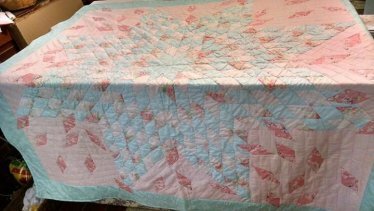 The Restoration Process: All cotton quilts must be washed before restoration can begin- cost $275.00, your quilt is closely inspected for damage and a restoration plan is written. This plan includes the materials needed and the labor necessary to complete the restoration. Occasionally, the restoration plan is presented as a range of services, so you will have the option of having all or just some of the work completed as suits your budget. Our staff will give you professional advice appropriate to your quilt, and has been known to talk clients out of or into restoration or repair projects on occasion! For example, if your quilt is a family heirloom, then restoration may be viewed differently than for a quilt purchased solely as an investment. Once we have your approval for the restoration plan, a deposit of approximately one half of the cost will be required, with the remaining amount due upon completion of the restoration. Fabrics are painstakingly chosen from our extensive inventory of antique fabrics to match the ones on your quilt. The fabric must be the same date or older than your quilt’s. Fortunately, we have a large inventory of both 18th Century Quilt Fabric and 19th Century Quilt Fabric, as well as 20th Century Quilt Fabric. The fabric must also match in color, shade, pattern, and type. For example, if a piece of blue plaid cotton from 1925 must be repaired, then it must be with a cotton from 1925 of similar weave, in the same shade of blue. To use anything else would change the integrity of your quilt. Once all the necessary fabrics have been selected, our expert hand sewers begin the process of restoring damaged fabric. In most cases, the replacement fabric is cut and sewn to the exact size and shape of the damaged piece and invisibly applied on top of the original fabric (with the exceptions of heavy wools and embellished pieces). In this way, your quilt retains its original fabric as well as the restoration fabric. Lastly, any quilting lines are replaced, using the same stitch length and threads as the original. If your quilt needs batting, ties, or binding replaced, we use appropriately dated materials and mimic the stitching style of the original quilter for those restorations, as well. 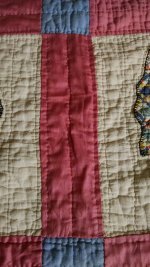 All restoration work is fully guaranteed, and sure to give you joy every time you look at your quilt and know that it has been given a new life to be cherished for generations to come.